Update: It looks like Jimmy is the one who got the first two iPhone 5s, one for himself and one for his mother in Indonesia. What a nice guy! The Herald Sun has a nice article on Jimmy and his bit of fame. Well, look at that! 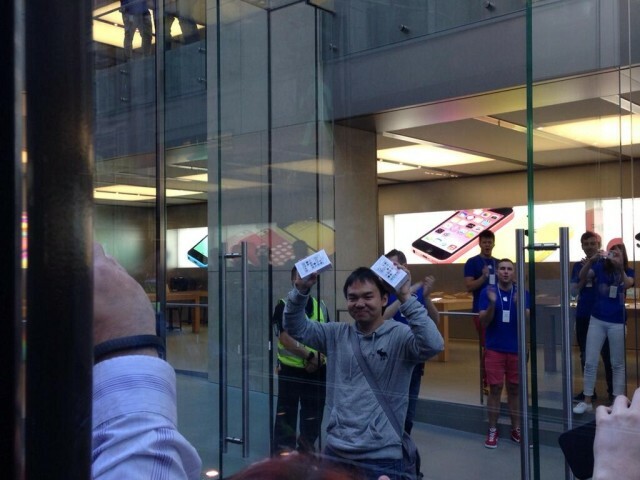 We’ve got our first glimpse of what may be the world’s first iPhone 5s, sold to a man named Jim in Sydney, Australia, where the coveted flagship Apple device has just gone on sale. The GoodGearGuide snapped his picture on Twitter just minutes ago, arms raised in triumph, a giant grin on his face. To be honest, we’d be grinning, too.